As part of GatheringBooks’ Black History Month celebration, I would like to share this beautiful poetic montage on Coretta Scott King—daughter to Obadiah and Bernice Scott, wife to Martin Luther King, Jr., mother to Yolanda, Martin Luther King III, Dexter, and Bernice, and an inspiration to people of all colors. Not only does Coretta Scott play a role in civil rights movement, she also serves as an inspiration in children’s literature. This is why I find this book fitting for today’s review. 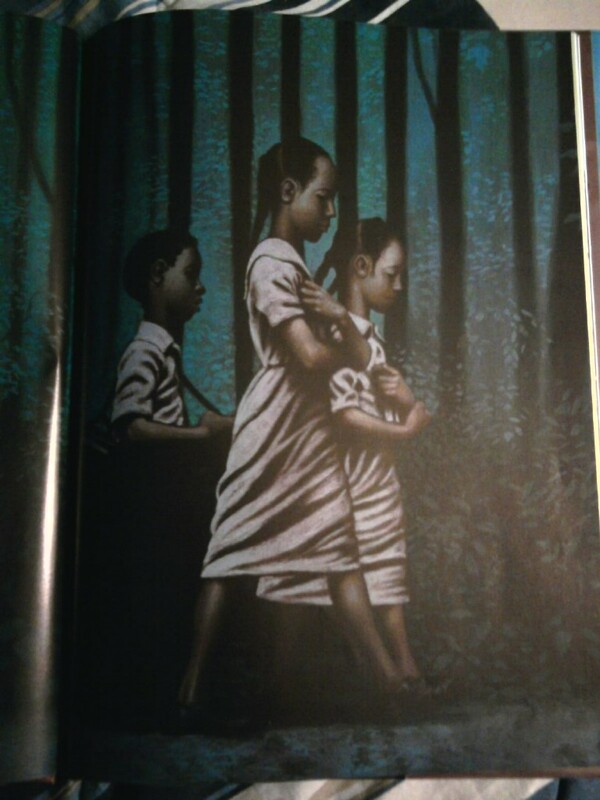 This 32-page picture book features the poetry of Ntozake Shange brought to life by oil paintings on plywood by artist Kadir Nelson. 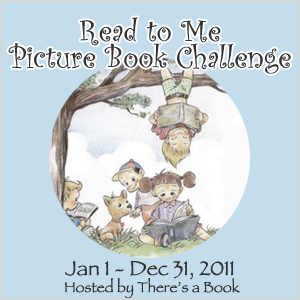 This picture book is a perfect read aloud for kids aged 4-8. The verses are short, and the words are simple and easy to understand. Ignoring the rules of punctuation, Shange put together the words that capture the story of Coretta Scott in verses. Shange’s tribute to Coretta Scott begins with the three Scott children getting up early to walk all five miles to the nearest colored school in town. Each morning, the bus that carried white children passed them leaving a funnel of dust on their faces. Immediately, we are introduced to segregation, the division of races enforced in many states. Growing up in a family of deep faith, Coretta Scott knew in her heart that the Good Lord intended freedom for her people. After graduating valedictorian at Lincoln Normal School, Coretta enrolled in Antioch College where she met Martin Luther King, Jr., a theology student at the time who was interested in civil rights. A black seamstress, Rosa Parks, refused to give up her seat on the bus to a white man. Rosa Parks was arrested, and the South was never the same. Martin organized the Montgomery bus boycott and awakened the whole nation to the injustices of segregation. This song was aptly written for the shared vision of Martin Luther King, Jr. and Coretta Scott King. I love the play of words and the underlying message of the song. The following video is a slideshow presentation dedicated to Coretta Scott and Martin Luther King, Jr. It includes photos of the couple, their family, their activist campaigns, and more. The background music is Joann Rosario’s I Hear You Say. The next video was inspired by Myra’s special feature on Maya Angelou. The video presents Maya Angelou giving a speech at Coretta Scott King’s funeral on February 7, 2006. The TV network, C-SPAN, recorded in their archive the entire service which you may view here. 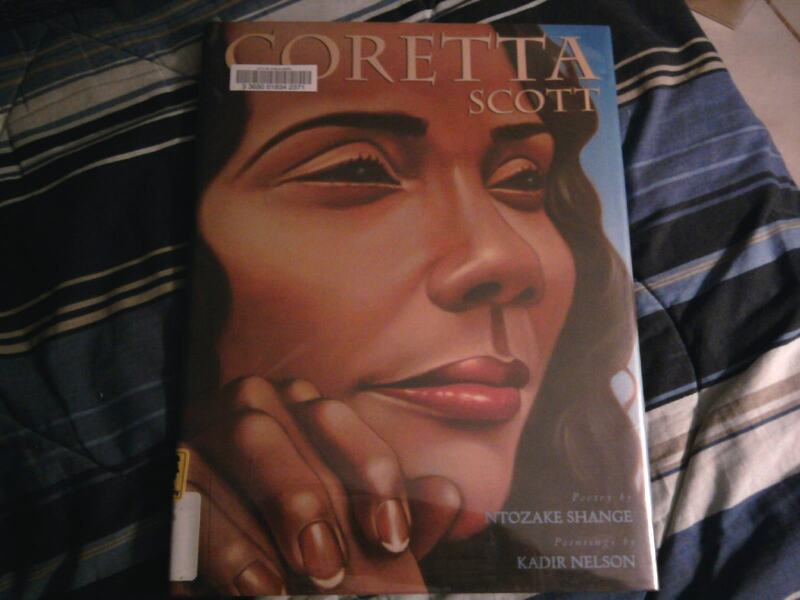 The Coretta Scott King Award is an annual award presented by the Ethnic & Multicultural Information Exchange Round Table (EMIERT), part of the American Library Association (ALA). It is awarded for the most distinguished portrayal of African American experience in literature for children. The original seal was designed by artist Lev Mills in 1974: bronze for winners, and pewter for honors. There has since been a revision of the seal: bronze and black for winners, and pewter and black for honors. 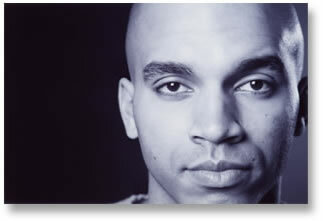 Kadir Nelson began drawing at the age of three, and painting at the age of ten. 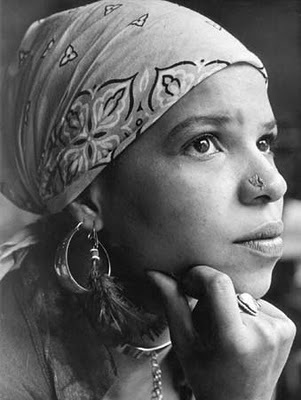 Coretta Scott was not the only book he designed for Ntozake Shange. 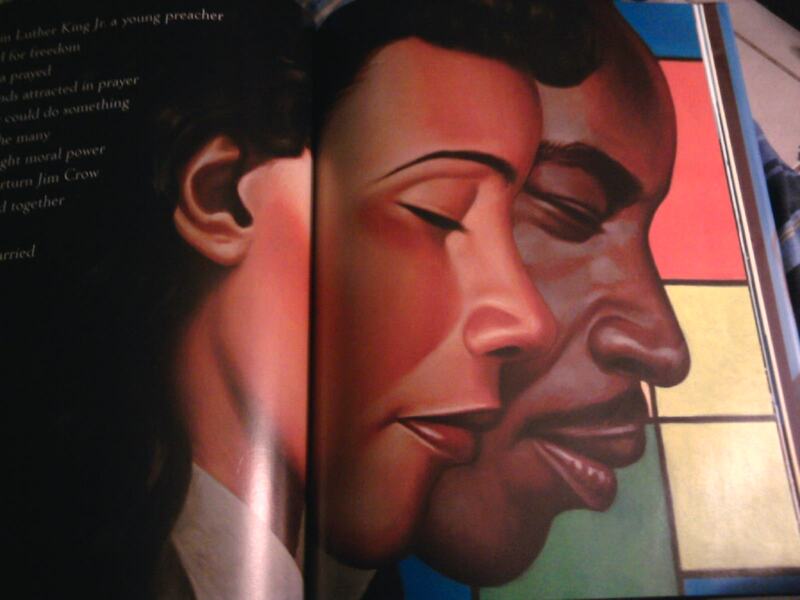 He also did the paintings for Shange’s award-winning picture book, Ellington Was Not a Street.